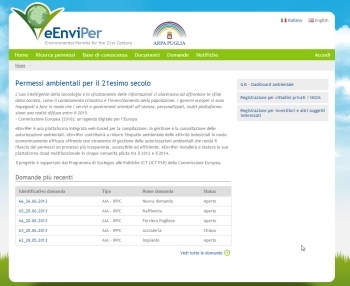 eEnviper is an EU-funded project to implement an e-Government platform to manage environmental permits. eEnviPer will provide an integrated web-based platform for the application, administration and consultation of environmental permits, making the environmental permitting process more transparent, more accessible and more efficient. Ultimately, eEnviPer will help to reduce the environmental impact of economic activities through the environmental permits process in a cost-effective manner. In the first phase of the project, eEnviPer will demonstrate this approach in five pilot communities across Europe: Puglia (Italy), Crete (Greece), Nigde (Turkey), Indjija (Serbia) and Krapina-Zagorje (Croatia). For eEnviPer, DRAXIS Environmentla S.A. (Greece) and its 11 consortium partners will integrate existing governmental data sources and geographical information systems with Web 2.0 participation platforms and workflow solutions. The resulting single multi-purpose cloud platform will be based on Service Oriented Architecture and provided as software as a service (SaaS). By March 2014, pilots in five municipalities and regions across Europe will have demonstrated how cloud computing can make this process more transparent, more accessible and more efficient. 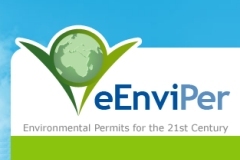 Through the use of modern web technology, eEnviPer helps to reduce the environmental impact of economic activities through the environmental permits process in a cost-effective manner. Citizens can provide comments on ongoing application processes on-line.